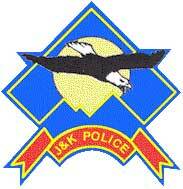 Home JK Police Jobs Latest Jobs In J&K (J&K Police) Engagement of SPOs Border Area of Samba 2019 || 179 Qualified Candidates List OUT! (J&K Police) Engagement of SPOs Border Area of Samba 2019 || 179 Qualified Candidates List OUT! J&K Police Engagement of SPOs Border Area of Samba 2019: District Police Headquarters Nandini Hills Samba has released the final result for the posts of special Police Officers (SPOs) from border area (0 – 10 km) of District Samba. Candidates who residing within (0 -10 km) border area of District Samba and who have applied for the posts of SPOs can check their final result through the link mentioned below. 2) MHA GOI letter No. 13030/55//2016-K-II dated 14.06.2018. 3) J&K Govt. Home Deptt. Letter No. Home/PB-II/58/2016 dated 17.03.2018. 4) ZPHQ Jammu endstt. No. PS/S-22/2018/2748-49 dated 26.11.2018. 5) Approval of PHQ J&K vide communication No. GB/M-32/2016-III/2764-65 dated 12.01.2019. duly endorsed by ZPHQ Jammu vide No. PS/S-22/2018-162 dated 16.01.2019. J&K Police Engagement of SPOs Border Area of Samba 2019 || 179 Candidates Selection List OUT! Below mentioned candidates, who have applied/qualified for their engagement as SPO in the police Department in response to this office advertisement notice issued under endorsement no. OHC/advertisement/18/24173-94 dated 26.11.2018 and subsequent approvals accorded by PHQ/ZPHQ vide above mentioned communications, are hereby selected as SPOs.